Imagine soaring the skies with the first Monster Stinger! The precision laser cut parts and computer generated plans assure performance right from the start. 2,650 square inches of wing area provide all the lift you'll need! 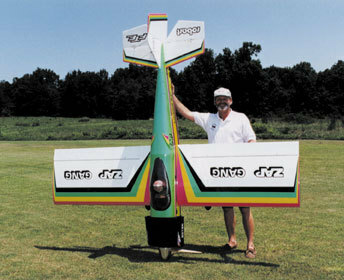 Overall Fuselage Length: 105 1/2 "
Wing Area: 2,650 sq. in.